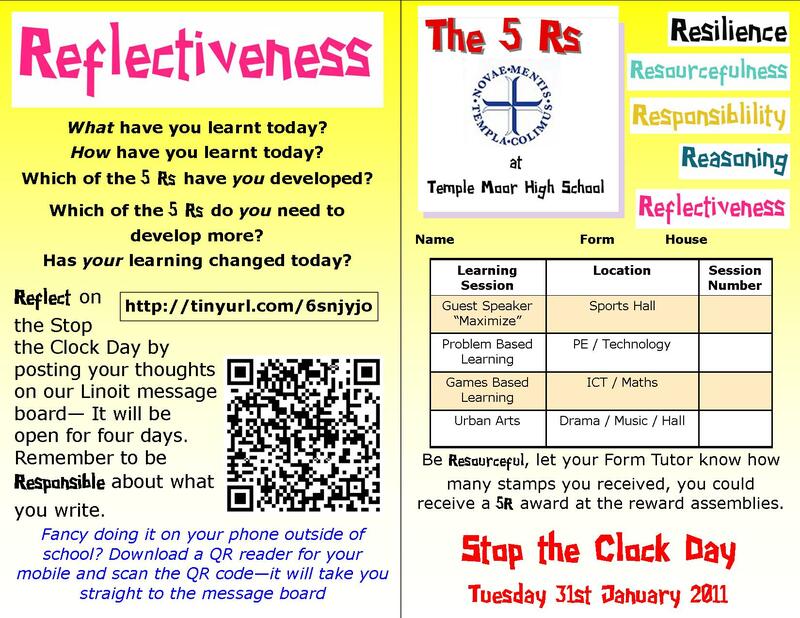 On 31st January my school, Temple Moor High School, lauched our 5Rs for effective learning. The day consisted of various sessions for the students to develop their 5Rs. During the day we had….. Guest Speaker (Jeremy Dry from Maximise) who spoke about motivation, resilience and how the brain works. Problem Based Learning – where students either in a team designed and created a way to safely drop an egg from the canteen balcony; or as a team in the Gym lifted the equivalent of the school minibus or ran the equivalent distance from Leeds to Scarborough! Urban Arts – where students were learning new skills such as Street Dance, DJing and Graffiti. During the day all students collected stamps from staff in their 5R passport. As you can see we asked the students to reflect on the day and record their thoughts using a Linoit canvass. Although not a huge response, the comments were extremely pleasing. See the canvass here. 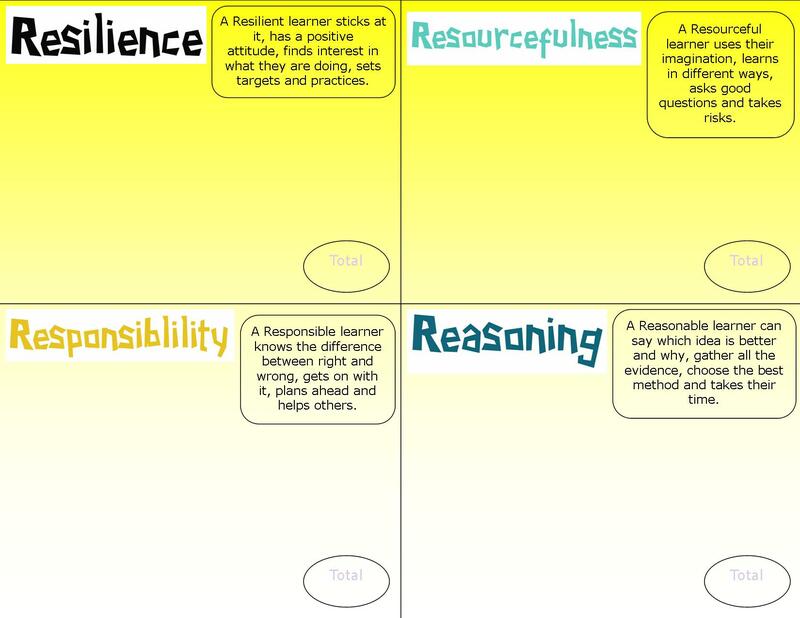 I have cobbled together some images from the day explaining the 5Rs that are now being displayed throughout the school – the personal touch of the images showing “our students” has had a pleasing impact. We aim to probably create a better standard of posters in the future. ….and what next? Well we have “Independence Day” where we are encouraging all staff to create opportunities for our students to develop the 5Rs, this has already been dubbed a “lazy teacher day” where we are hoping to see much more opportunities for our students to develop independent learning. 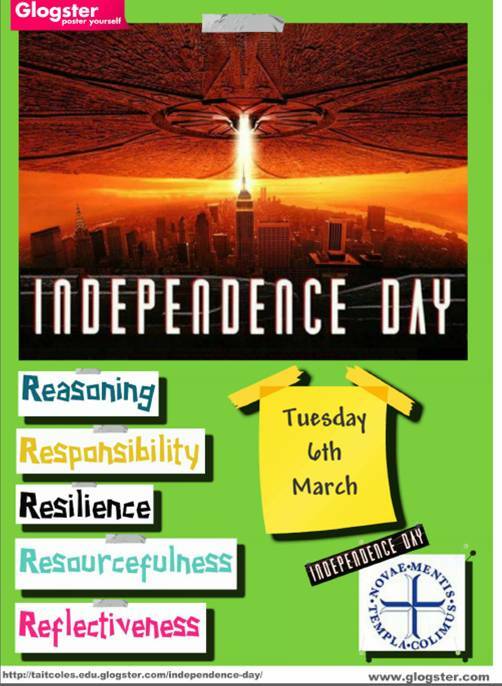 A lot of learning in the TLCs this month will be centered around collaborative learning and students leading learning – which fits in really nicely with the follow up to the 5R day and Independence Day. 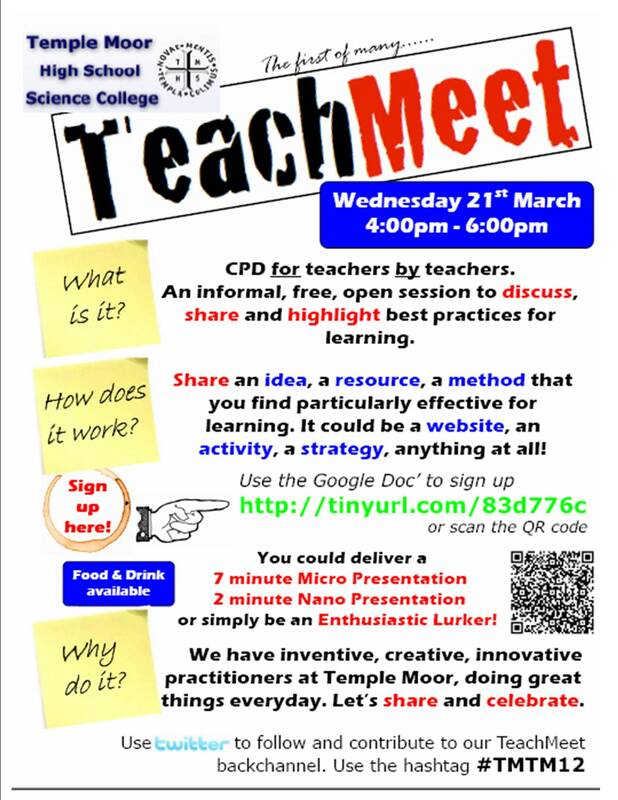 At the end of the term we plan to celebrate these successes with our very first in house Teachmeet!! I’ve been playing around with Capzle – take a look!